Closeout. 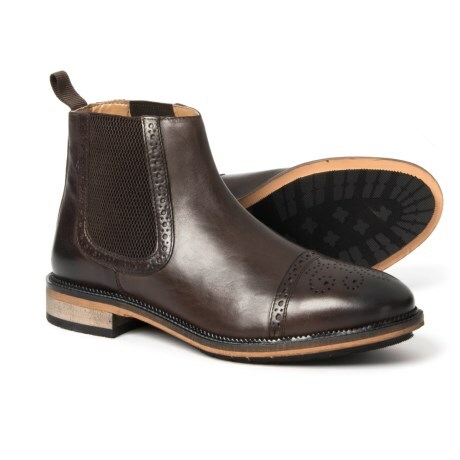 Brogue detailing on Steve Maddenand#39;s Deadbolt Chelsea boots make these slip-on kicks office worthy and weekend ready in rich leather. Available Colors: BROWN, COGNAC. Sizes: 8, 8.5, 9, 9.5, 10, 10.5, 11, 11.5, 12, 13.